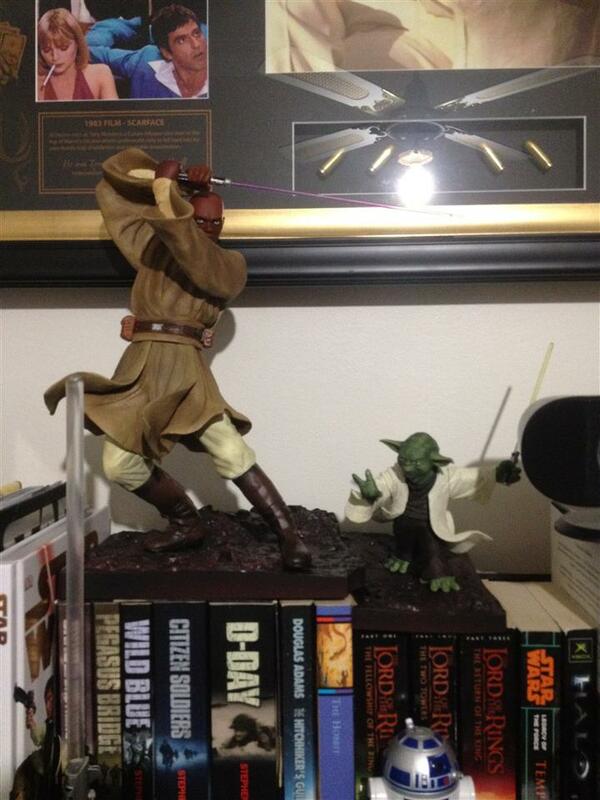 Kotobukiya Mace Windu & yoda collected in Figure Collection by Tayler Rowe - Collected It! Always been a fan of Kotobukiya, the way they design figures to have that slight "fantasy" look has always managed to grab my attention. Mace stands in at 12 inches followed buy yoda who looks to be around 4. very bright colors and highlights really make these guys pop off the shelf, no to mention the lightsabers themselves have very good detail. a complete steal for $50.